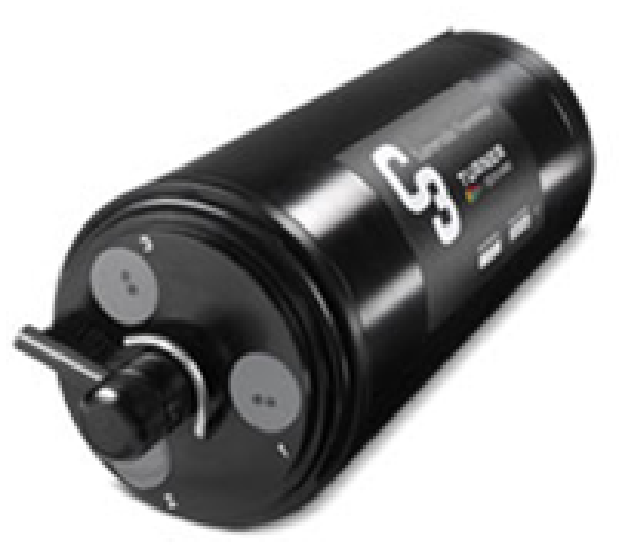 The C3/ C6P Submersible Fluorometer is designed to incorporate up to three/six optical sensors ranging from the ultraviolet to the infrared spectrum. Internal memory storage capacity combined with an external submersible lithium ion battery allows the C3/C6P to run during extended or short-term deployments. Each C3/ C6P comes with a factory installed temperature sensor and a depth rating of 600 meters. An optional factory installed mechanical wiper is also available. The C-Soft Windows based software allows for intuitive calibration, data logging set up, file management capabilities as well as data integration.